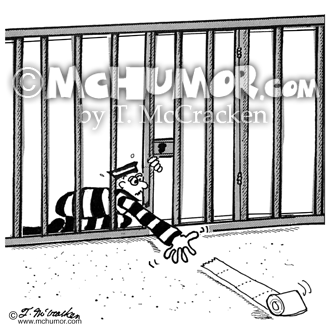 Prison Cartoon 2018: A prisoner struggling to reach the toilet paper that has rolled outside the bars of his cell. 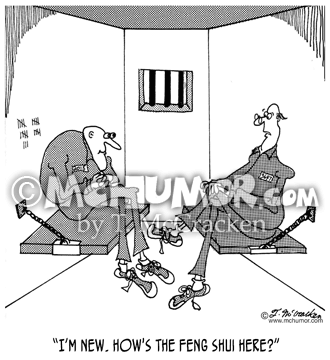 Interior Design Cartoon 7303: A prisoner says to another, "I'm new. 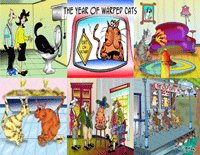 How's the Feng Shui here?" 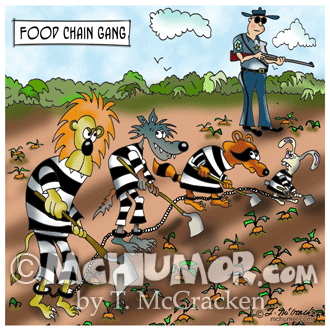 Biology Cartoon 9377: “A Food Chain Gang.” A prison work crew hoeing a carrot field has a lion chained to wolf that is chained to a raccoon that is chained to a rabbit. 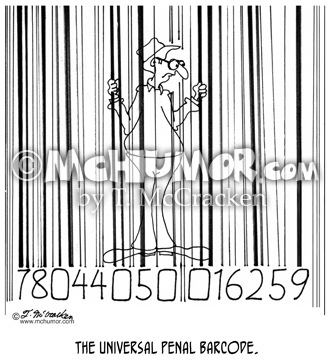 Law Cartoon 5318: "The Universal Penal Barcode." 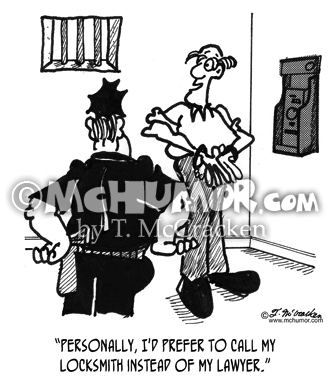 A prisoner is behind a huge barcode. 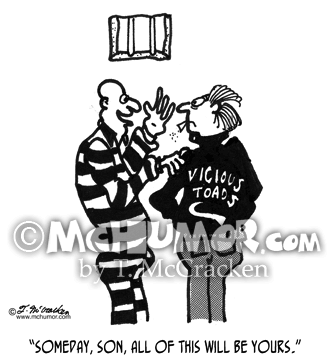 Prison Cartoon 4642: Prisoner climbing out window while hanging onto a huge philodendron saying to another, "See, I told you it was a good idea to talk to the plants." 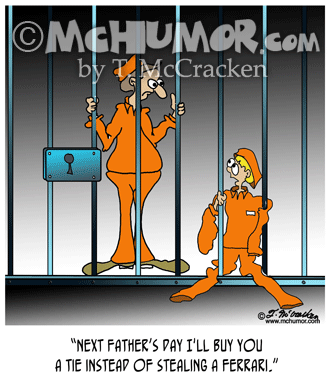 Jail Cartoon 4643: A kid says to Santa, "I'd like my Daddy out of jail." 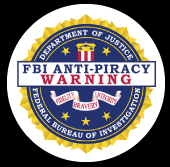 As elves use pick-axes to break into jail one says, "I wish we stuck to making toys." 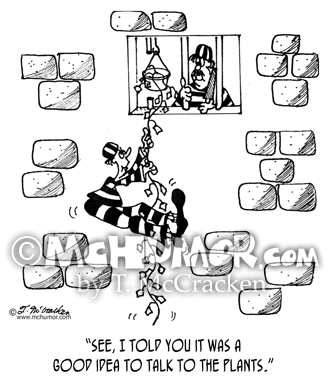 Knitting Cartoon 4536: A prisoner in a cell knits a ladder that goes out the window. 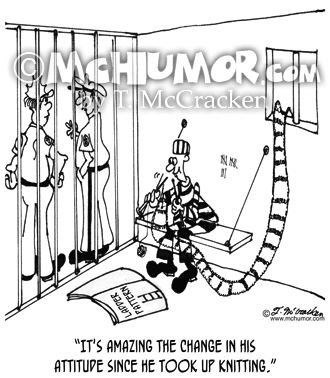 A guard not seeing this says, "It's amazing the change in his attitude since he took up knitting."